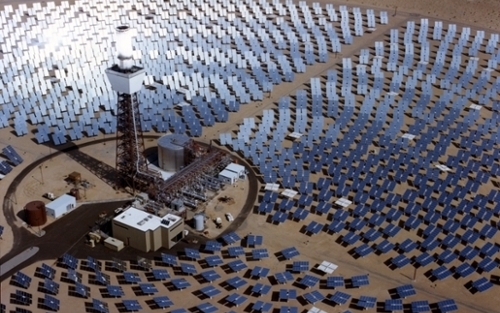 Concentrating solar power is one plank in renewable energy strategy. Supercomputers models looking for unknown heat transfer mediums. DoE SunShot Initiative partners with Oak Ridge National Laboratory. In the Nevada desert near Las Vegas, more than 10,000 mirrors focus the sunlight on a 640-foot tower. Using the sun’s energy to heat a salt solution, this concentrating solar power (CSP) plant can generate 110 megawatts of electricity (enough for roughly 18,000 homes). That solution boils water, producing steam that turns a turbine generator. But to run at night or on a cloudy day, the heat-transfer medium – molten salt in this example – must stay hot as long as possible, and that’s a challenge made for a supercomputer. “How long you can maintain a high temperature depends on the heat-transfer medium, the insulation of the thermal energy storage tank and so on,” says Dominic Lee, manager in the sustainable electricity program at the US Department of Energy’s (DOE) Oak Ridge National Laboratory (ORNL). A CSP plant’s efficiency also depends on getting as much of the sun’s energy to the heat-transfer medium as possible. 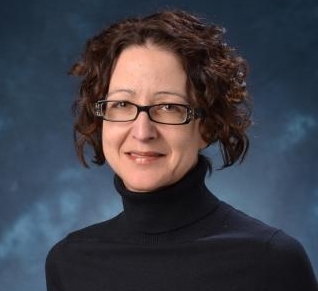 Christine Hrenya, a chemical and biological engineering professor at the University of Colorado, Boulder, is trying to find that better medium. The team, part of the DOE Solar Energy Technologies Office’s SunShot Initiative, has received 20 million processor hours at the Oak Ridge Leadership Computing Facility through the DoE Office of Science’s Advanced Scientific Research Computing Leadership Computing Challenge. To get the most from CSP, the heat-transfer medium must remain stable above 600 degrees Celsius, about 50 degrees beyond when molten salt loses stability. “With molten salt, you can’t take advantage of all of the sun’s energy in the power tower because the heat-transfer medium becomes a bottleneck in the effectiveness,” Hrenya explains. She wanted something stable over 600 degrees that would also provide good thermal storage. “If you go on the beach long after the sun goes down,” Hrenya says, “the sand is still warm.” So her team decided to try sand-like particles as the medium. In her CSP system, the particles replace the disk and tubes replace the pegs. After transferring the heat, the conveyor returns the particles to the tower. 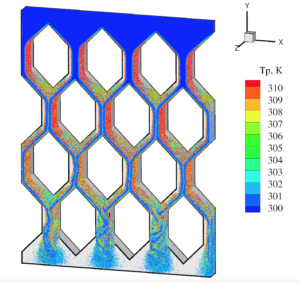 “With gases or liquids, heat transfer is well known,” Hrenya says, “but we are studying a multiphase system: Air plus the sand-like particles.” To better understand the mechanisms of heat transfer in multiphase systems, her team needed to develop new models. Using the Titan supercomputer at ORNL, the scientists started with a discrete particle-tracking model. It follows how the grains – up to 13 million of them – move and transfer heat. “That sounds like a lot of particles, but it’s not even close to what we’d find in the system,” says Hrenya. To accommodate a larger system with more particles, the scientists also developed a continuum model. “Here we solve the energy balance and momentum for the whole phase instead of individual particles,” she notes. Then the team compared results and found the continuum-based model was excellent, Hrenya says. The heat-transfer results differed by less than 15 percent. The next step is to test the system experimentally. With backing from the US National Science Foundation (NSF), Hrenya is starting with ideal data, generated from controlled particles of identical size and shape. Over time, Hrenya will create increasingly realistic systems to test. She will move from motionless particles to moving ones, add random roughness and so on. At each step, she will compare and refine her models so she can ultimately design the most effective heat-transfer medium for a CSP plant – all while she learns more about the fundamental physics that underlies the process. The more efficient CSP becomes, however, the more useful it will be. Supercomputers are proving to be an essential instrument in the quest for sustainable energy. Hrenya’s team includes postdoctoral researcher Aaron Morris, Zhiwen Ma of DOE’s National Renewable Energy Laboratory in Golden, Colorado, and Sreekanth Pannala, then at Oak Ridge and now a research fellow at SABIC in Houston. Read the original Tower of Power article over at the DoE magazine, ASCR-Discovery.